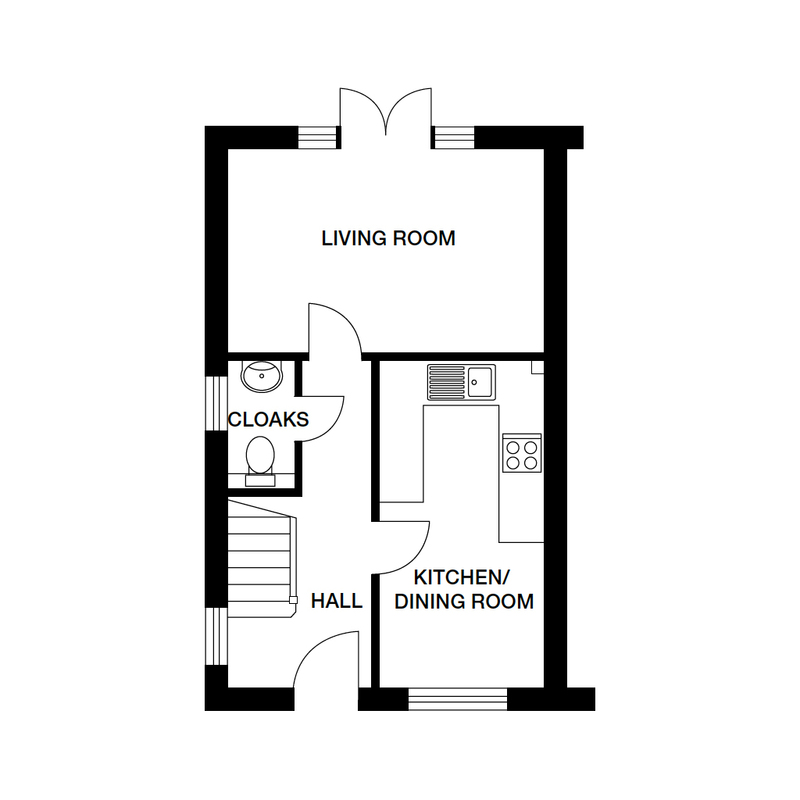 Plots 28,29 - The Austen, a two bedroom semi-detached home with two parking spaces, purchase price £139,995. The Austen at Ymyl Yr Afon is the perfect starter home for any first time buyer looking at get on to the property ladder. This two bedroom, semi-detached home benefits from a kitchen / dining room, separate living room with French doors leading onto the garden and a cloakroom. Upstairs, features two good sized bedrooms and a family bathroom. Visit our marketing suite and showhomes today to find out more! 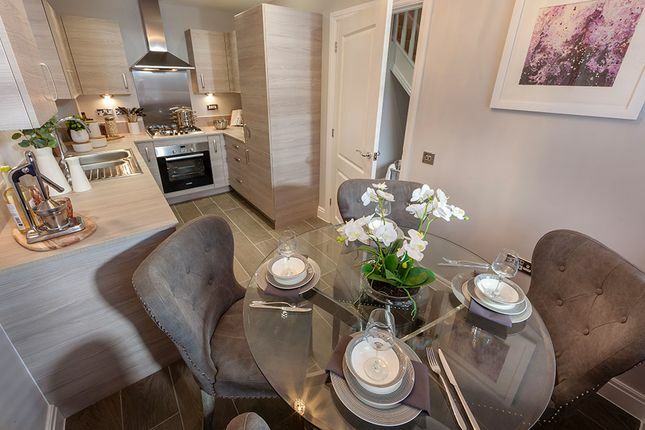 Ymyl Yr Afon is a stunning collection of two, three and four bedroom homes in Merthyr Vale. The new community will feature attractive tree-lined streets with plentiful areas of open green space. There is a home for everyone here, with a carefully planned development suitable for first time buyers and downsizers, to growing families and young professionals. If you are looking for a commutable, family-friendly base, or a scenic setting where you can delve into the culture, South Wales provides a multitude of experiences. Ymyl Yr Afon is easily accessible by car and public transport, with Merthyr Vale train station at your disposal. The train runs every 30 minutes directly to Cardiff and it's a 14-minute train journey to Merthyr Tydfil. 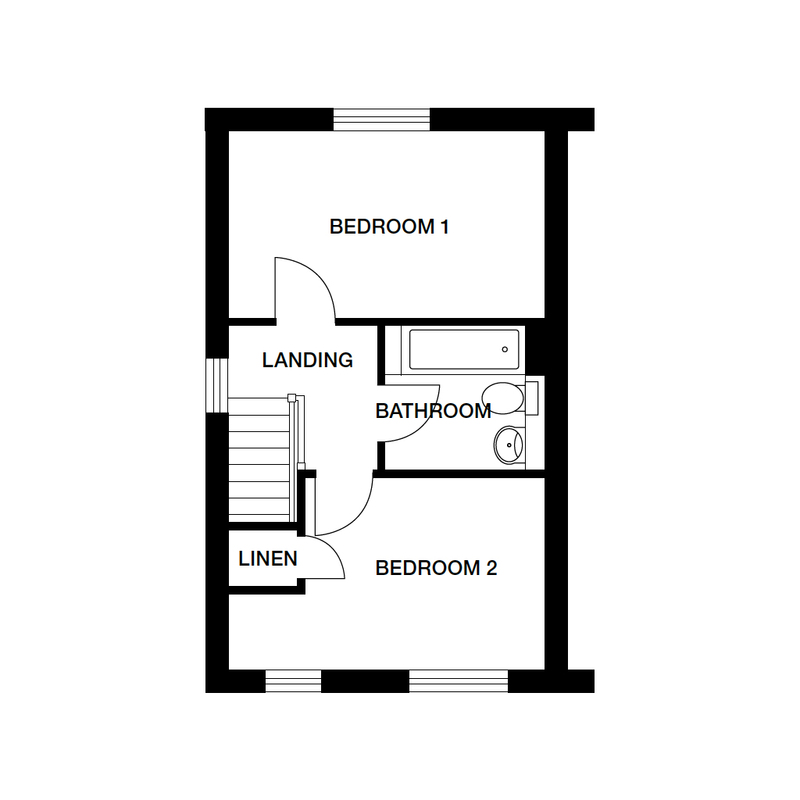 Images of 2 bed show home at previous developments, all featuring optional extras at an additional cost. Please ask about our Inspirations range. Move in with just a 5% deposit and 75% mortgage. Those looking to buy with Help to Buy - Wales require a 5% deposit as the government will provide up to 20% of the value of the property in an equity loan, allowing buyers to access mortgages of up to the remaining 75%. The equity loan is interest free for the first five years, and can be repaid at any time or when you sell your home. Scheme available on selected properties in Wales, on homes up to £300,000. Lovell cannot advise you on a mortgage your home may be repossessed if you do not keep up repayments on your mortgage or any debt secured on it. Subject to terms and conditions. Please ask for further details. The Help to Buy - Wales scheme is available on selected properties in Wales, on homes up to £300,000. Interest will be payable on the equity loan after five years, at an annual gross rate of 1.75%, rising at the rpi plus 1% per year thereafter. There will be a £1 per month administration fee, commencing upon receipt of the equity loan. The equity loan repayment sum will be calculated using the same loan percentage of the price of the property or its market value at the time of future sale/mortgage repayment, whichever is greater. Scheme is available subject to terms and conditions, but is not available to investors. Lovell cannot advise you on a mortgage. Your home may be repossessed if you do not keep up repayments on your mortgage or any debt secured on it. Full details available upon request. Property descriptions and related information displayed on this page, with the exclusion of Running Costs data, are marketing materials provided by Lovell - Ymyl Yr Afon, and do not constitute property particulars. Please contact Lovell - Ymyl Yr Afon for full details and further information. The Running Costs data displayed on this page are provided by SmartNewHomes to give an indication of potential running costs based on various data sources. SmartNewHomes does not warrant or accept any responsibility for the accuracy or completeness of the property descriptions, related information or Running Costs data provided here.